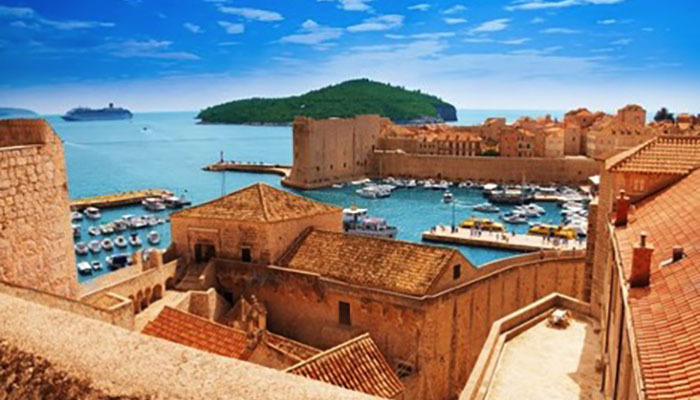 Dubrovnik and Korčula are two of the top destinations in Croatia for a twin-centre holiday. The towns offer an interesting blend of culture, history, nature and gastronomy, not to mention a perfect climate. 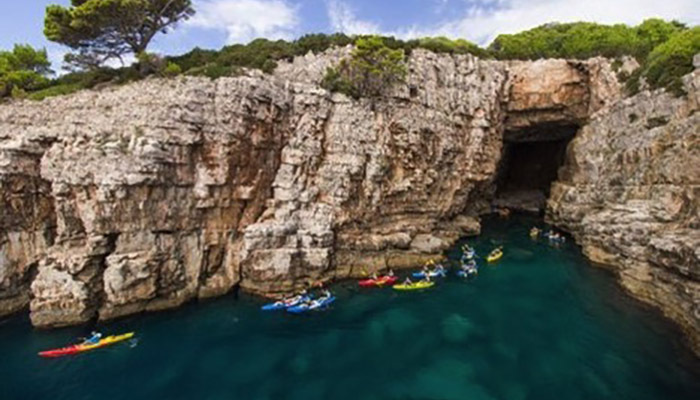 To make the most of your stay in southern Dalmatia, we have created a top 10 of unforgettable activities near Dubrovnik and Korčula. Which ones will you try? 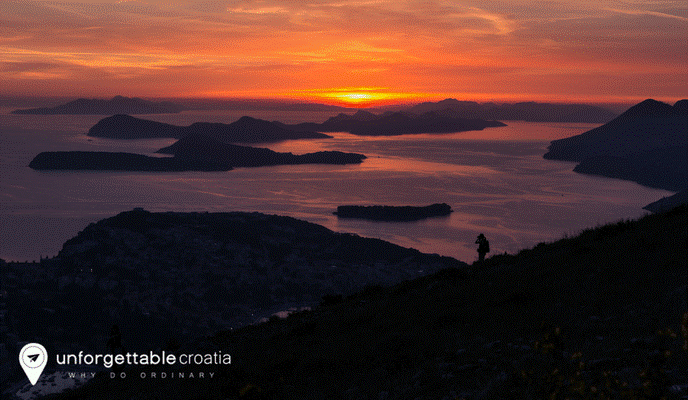 Enjoy the panoramic view over Dubrovnik, the sea and the islands. Have a cup of coffee at the top and visit the war exhibition in the fort, or the splendid Panorama Restaurant. If the weather is not too hot, you can also hike up the mountain, which will take about an hour. Take a tour of boutique and family-run vineyards. Our handpicked tour guide holds prestigious, world-renowned sommelier qualifications, and has a penchant for the wines of his homeland, Croatia. 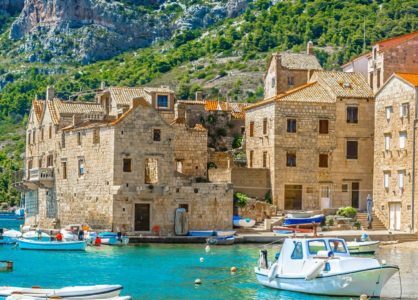 On this fun excursion, you’ll learn the distinctive traits of Croatian wines whilst tasting plenty of the products along the way. If you enjoy wandering around botanical gardens, don’t skip a visit to Trsteno. The gardens are located less than 20km from Dubrovnik and can be reached by car or bus in less than 20min. 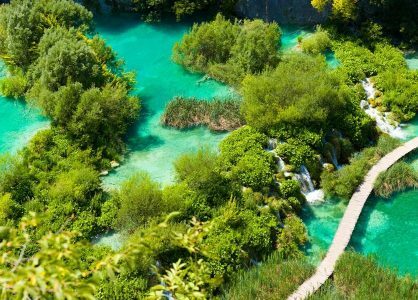 Game of Thrones fans will probably recognise the filming locations right away, in this 600-year-old green oasis. The unspoiled Elaphite islands and the typical Mediterranean island life are waiting to be discovered. Join an island-hopping tour, rent your own boat (with or without skipper) and leave the hustle and bustle of the city behind. Pure relaxation awaits you on these car-free islands that only have a handful of inhabitants. Some of the best Croatian wines come from the island of Korčula, such as the extraordinary Grk white wine. You can choose between walking tours, cycling tours and even boat tours that take you to the most interesting family run wineries on the island. The highlight of a visit to the small but charming cathedral in Korčula town is the bell tower. There are not so many steps, but they are narrow, so it might not be suitable for everyone. The view from the top is simply breathtaking and makes the climb more than worthwhile. 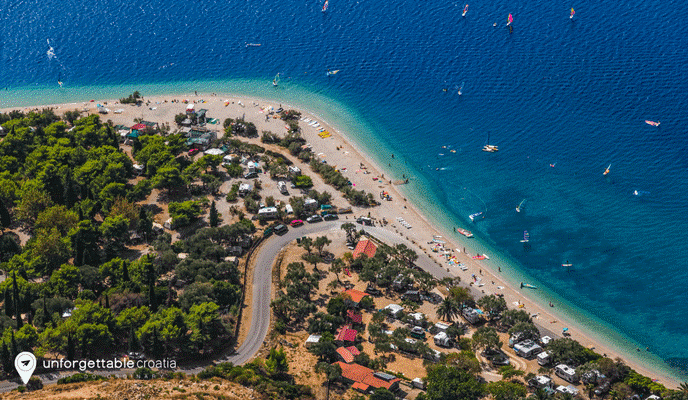 Pupnatska Luka is one of the most beautiful beaches on Korčula island. It lies in a secluded bay, 20 minutes by car from Korčula town. The fine pebbles and shallow sea make it a perfect family beach. Make sure you arrive early to find a good spot, as it can get quite crowded. There are sunbeds and parasols for rent, and the beach bars offer snacks and drinks. 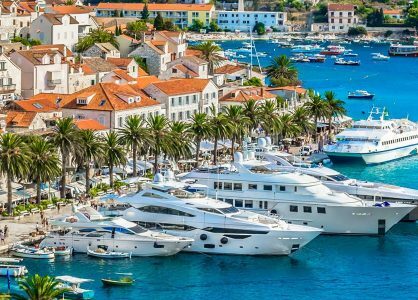 This little gem on the westernmost point of Korčula island is a must visit for anyone who loves unspoiled pebble and rocky beaches. It will be hard to find more stunning beaches and a clearer sea anywhere else in Croatia. So hop on the ferry in Vela Luka and 35 minutes later you will find yourself in paradise. Vela Spila is an interesting archaeological site not far from Vela Luka town. While hiking up to the cave you can enjoy beautiful views over Vela Luka, making it worthwhile even if archeology is not your thing. We advise you to download the free audio guide on your phone, to help you understand the site during your visit and learn more about the people who lived there.